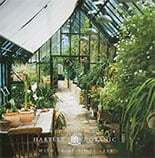 Is it possible to install a Woodburning stove in a greenhouse? Yes it is possible and we receive this request regularly. We simply replace a sheet of glass with an aluminium sheet to allow the chimney or flue to pass through.